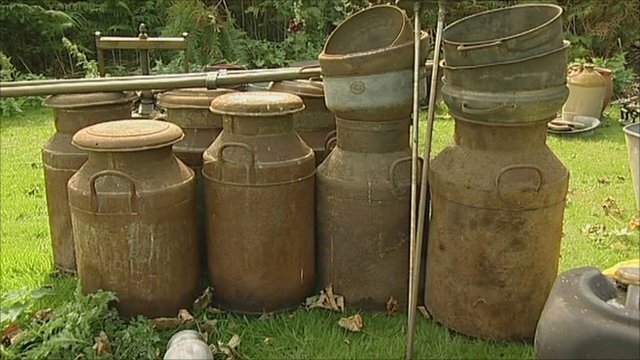 A small rural museum in Derbyshire is auctioning its entire contents because it cannot afford to continue operating. Mangles, tin bathtubs, miners lamps and ploughs are included in the auction of items from Langwith Heritage Association. The items will go under the hammer on Saturday in Derby.